The Helix Nebula Science Cloud (HNSciCloud) hybrid cloud platform links together commercial cloud service providers and publicly funded research organisations’ in-house IT resources via the GEANT network to provide innovative solutions supporting data intensive science. HNSciCloud has developed and piloted a hybrid cloud platform in order to meet the growing requirements of 10 leading European research centres with applications and datasets successfully deployed from astronomy, high energy physics, life sciences and photon/neutron sciences. These innovative services support the connection of the research infrastructures identified in the ESFRI Roadmap to the nascent European Open Science Cloud (EOSC) intended to create a single digital research space for Europe’s 1.8 million researchers. 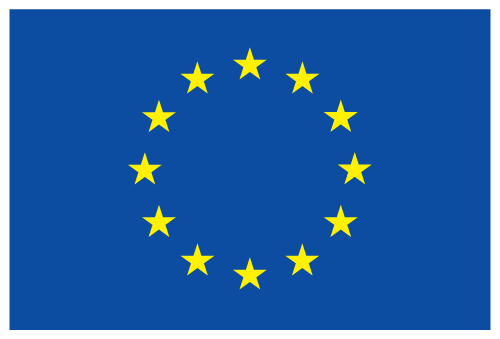 The published lessons learned are important for all scientific disciplines across Europe that are considering moving some or all of their research computing provision into the Cloud. The EOSC initiative launched by the EC in November 2018 is potentially the greatest opportunity to stimulate and aggregate the demand from the science community for commercial cloud resources. The HNSciCloud report, Integrating commercial cloud services into the European Open Science Cloud, explains how commercial cloud services can be integrated into the EOSC. The OCRE project provides the main near-term procurement opportunity for the public research and education sector to exploit the results of HNSciCloud in the context of EOSC. 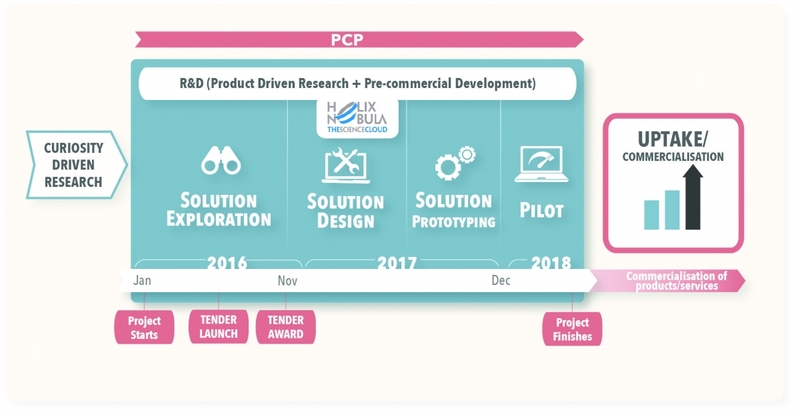 The experience gathered and lessons learned from using the Pre-Commercial Procurement (PCP) instrument are being applied in the execution of the ARCHIVER project. 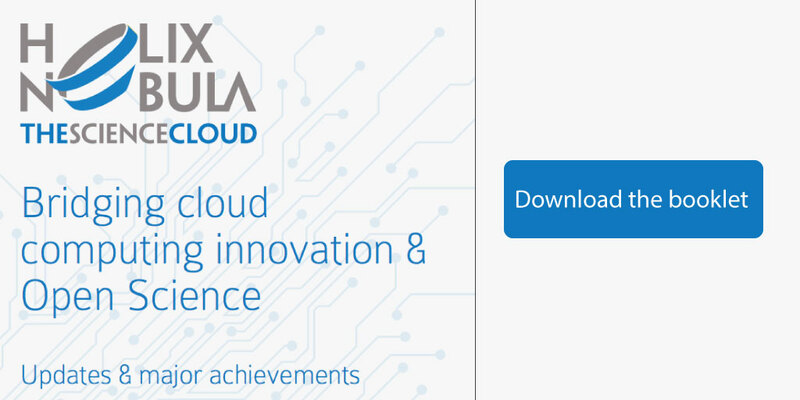 The Helix Nebula – the Science Cloud is a €5.3 million Pre-Commercial Procurement (PCP) tender for the establishment of a European hybrid cloud platform to support the deployment of high-performance computing and big-data capabilities for scientific research. Service Payment Models - explore a range of purchasing options to determine the most appropriate ones for the scientific application workloads that will be deployed. The procured cloud services were integrated with the procurers’ in-house resources and publicly funded e-Infrastructures to provide a hybrid platform for end-users from a wide range of scientific fields (See the HNSciCloud User Groups). Tony Wildish from EMBL-EBI explains how the Helix Nebula Science Cloud project helped his team to use cloud resources to increase the throughput of their metagenome assembly pipeline.